David Smoak has over three decades of experience covering sports in Texas and is a graduate of Tyler Junior College ('79) and Stephen F. Austin State University ('81). "Smoaky" became the program director and talk show host for ESPN-Central Texas (AM1660, AM1330, 100.9FM, and 99.1FM) in June, 2010. He launched �Smoaky.com� in June, 2001, and it has been at the forefront in covering East and now Central Texas High School Sports. Smoak began his radio career in January, 1990, and hosted Sports Talk, a three-hour afternoon show on KTBB Radio in Tyler/Longview through July, 2009. He was also at ESPN-Dallas during the spring of 2010, and he�s hosted his talk show from Dallas Cowboys Training Camp, Texas Rangers Training Camp, The Masters, NCAA Final Four, NBA Finals, NFL Draft, Big 12 Basketball Tournament, numerous college football bowl games, and every Super Bowl but one since Super Bowl XXVII (January, 1993). He began his career in television, at KTRE-TV in Lufkin. He spent the first ten years of his career working in television fulltime, including what became a long stretch with KLTV-TV, Channel 7 (1984-1996). 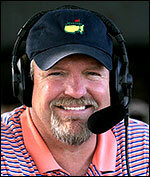 He became the lead sports anchor on KETK-NBC56 and KFXK-Fox 51 from February, 1997-February, 2000. He did some television analyst work for CBS-19 in Tyler from February, 2005-June, 2009. David's professional awards include the Associated Press Awards for Best Radio Sports Talk Show, Best Radio Play-By-Play, Best Television Sportscast, Best Television Sports Feature, and Best Television Serious Feature. In 1988, David's human interest feature "Jamie's Season", won national acclaim, when he documented the final days of Jamie Sexson, the ball boy of the Marshall High School football team, who eventually lost his battle with Leukemia. Smoak was the Founder and Chairman of "David Smoak's Scholastic All-Stars" Program from January, 1990 thru June, 2009. The program honored the best high school student-athletes throughout greater- East Texas. When David arrived in Central Texas, his first goal was to establish a similar program, �David Smoak�s Academic All-Stars� that has honored the best high school student-athletes in greater-Central Texas since 2010. Smoak was inducted into the East Texas Coaches Association Hall of Honor in February, 2014, and was named the �Spirit Award,� winner at Tyler Junior College as part of their annual Circle of Honor Ceremony. He�s also a member of the Selection Committee for both the Texas Sports Hall of Fame and the Texas High School Football Hall of Fame. 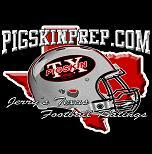 And, he�s been added as a member of the nomination committee for the Texas High School Football Hall of Fame. He is also a member of the Pro Football Writers Association and the College Football Writers Association of America. David has been married to his wife, Cindy, since March, 1981 and they have two children, Craig, who is also in the broadcast business and hosts his own Sports Talk Show on ESPN-Central Texas every weekday between 11:00am-2:00pm. Their daughter Jennifer is a graduate of Texas Tech University and she works at Pillar Income, an Asset Management Company in Dallas. Please use the form on our Contact page to send Smoaky a question or comment.